So we’re picking up some decent quotes should there ever be a paperback. 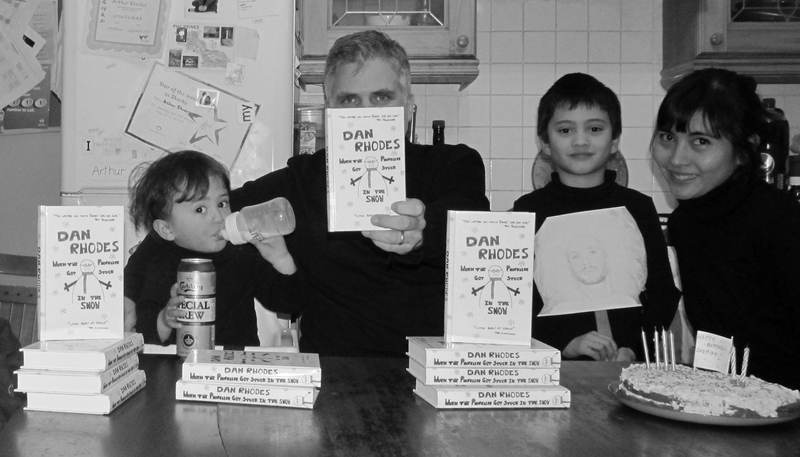 Speaking of which… I’ve decided not to print a second edition of the hardback. It’s already nearly sold out, and I reckon I could shift another run, but with a day job and small children I just don’t have the time or the energy to do it. I’ll get it back in print at some point though, somehow, and for now there’s the eBook (which at the time of writing has two customer reviews – one of which, tragi-comically, seems to have been written by one of the characters from the novel). I’ll still be chasing reviews, so if you’re in that line of work don’t go thinking you can rest easy. A thousand thanks to everyone who has supported this reckless venture and made it such an enjoyable, if relentless, few weeks. It’s been a real pleasure selling directly to bookshops and readers. 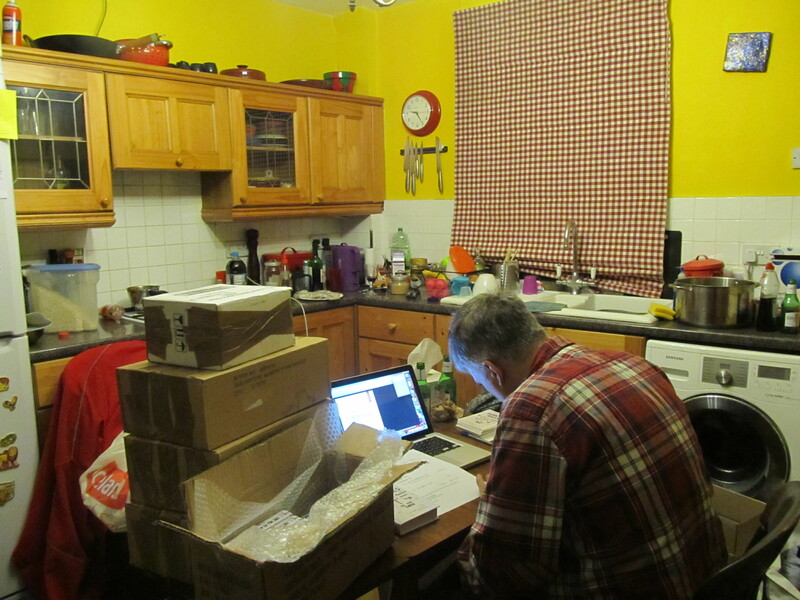 That’s been the story of my life for the past couple of weeks – bubble wrap, jiffy bags, parcel tape and random boxes generously provided by the Buxton Discount Centre. We’re doing one final release of books from our pop up shop – all signed and numbered first editions. I’m getting sentimental as the stock goes down – there can never be a second first edition. I really wish I’d taken a group photo of all 400 books. Many thanks to those of you who have bought it so far, from us or one of our bookshop pals. This is a shoestring operation with a marketing budget of £0, so if you have read and enjoyed the book please spread the word. The photo is from 2007, when I was touring Gold. What you can’t see is my lucky Flavor Flav T-shirt, which I wore for all publicity engagements that year. With the benefit of hindsight I can see that it probably wasn’t as lucky as I thought it was. It’s a smashing review and you can read it here. I know that’s not the clearest picture, but you can read it online here. I’ve not been able to trust myself with international orders, but we’ve partnered up with a highly reputable bookseller so anyone from anywhere can get hold of it – worldwide shipping is available here from Foyles. As ever, these are signed and numbered first editions. I’ve been so busy with the hardback that I’ve almost forgotten there’s an ebook to plug too, if that’s your thing. 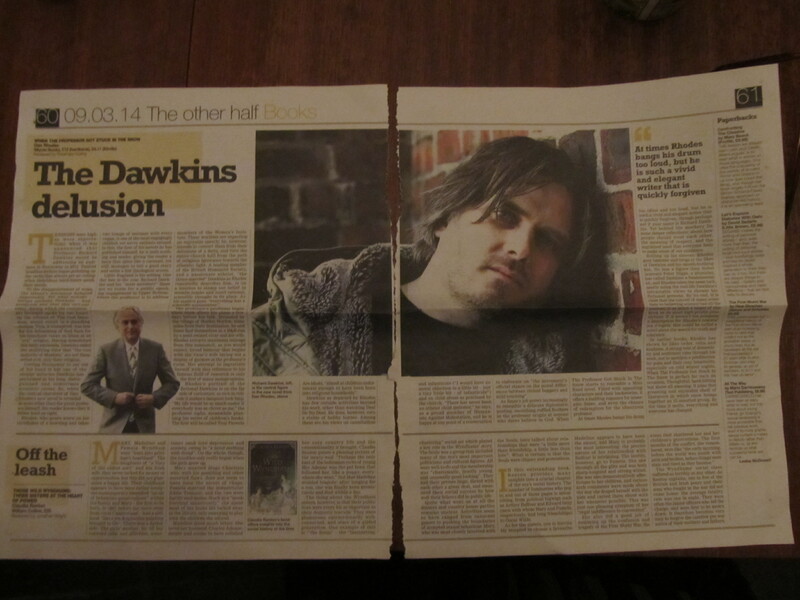 In other news, there was a nice piece about ‘Little Hands Clapping’ in the paper at the weekend. You can read it here. And that, for now, is all. Here he is. It’s starting to look as if the experiment has not been a complete disaster after all. 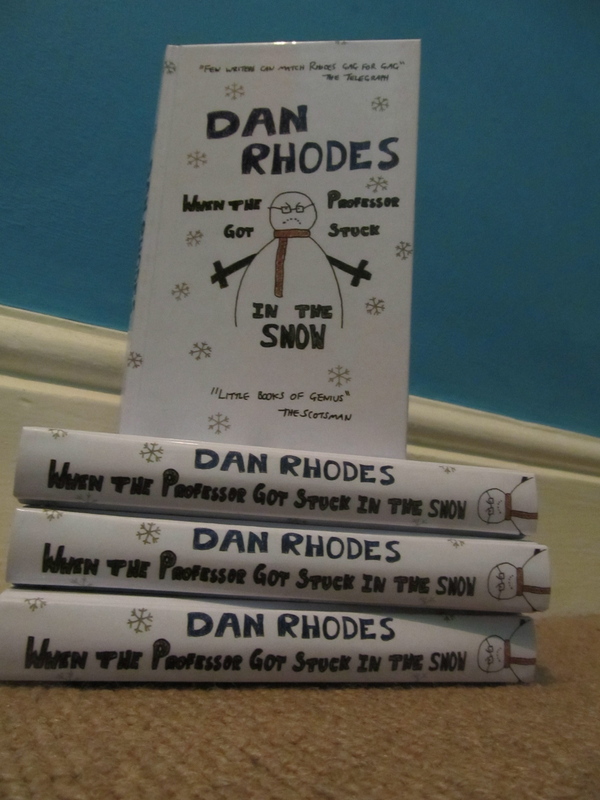 I finished writing ‘When the Professor got Stuck in the Snow’ on 11th January, and on 21st February UPS knocked on the door with 400 hardbacks. So it can be done. If I’d waited for conventional publishing cogs to creak into gear it wouldn’t have been out until 2015. Thanks are due to my design genius nephew Luke for laying out the jacket with lightning speed, and to the printer, CPI, for working so fast and producing a really high quality edition. We’re trying to get as many of them as possible to bookshops, and have had a great response so far – a quarter of the run is currently in transit. If you happen to be a bookseller, big or small, please do get in touch here. Likewise, if you’re a journo who feels like giving this reckless endeavour a bit of coverage, please say hello. We’ve now opened our own shop too, and if eBooks are your thing you can buy it here. Not convinced? You can try before you buy. 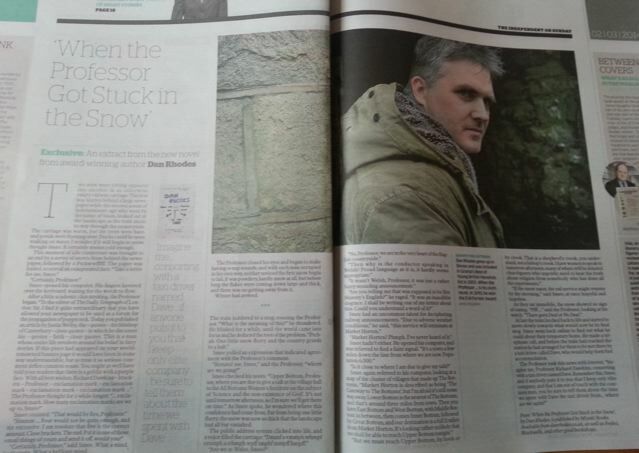 The Independent on Sunday has run an extract – it lives here. In other news, the US edition of ‘Marry Me’ had the review of a lifetime in The Washington Post, and Spanish and Italian translations are out now too. 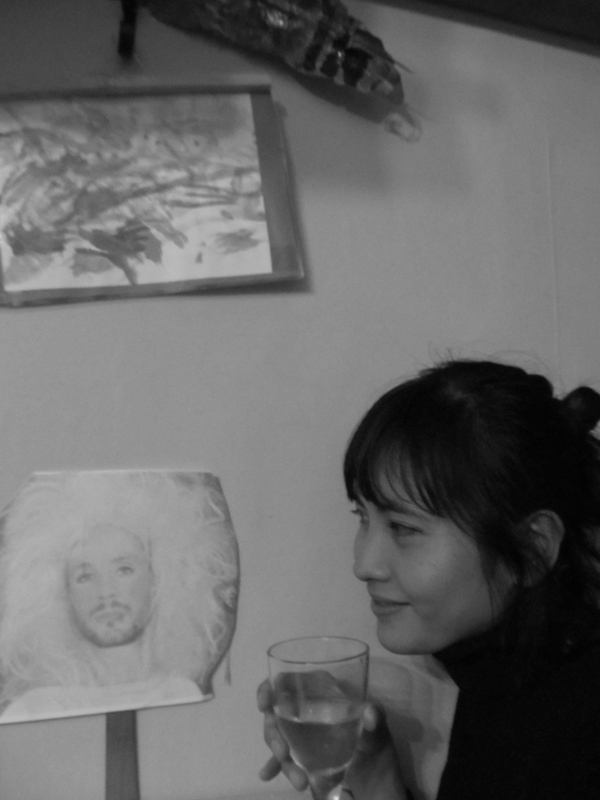 We love Jonny Woo – here’s why. Here it is – a sneak preview of the breathtaking cover art of the new book. It won’t be long now… Click here to find out more about what on Earth is going on. In other news, I have finally succumbed to Twitter. Find me blethering on about nothing in particular @MiyukiBooks. 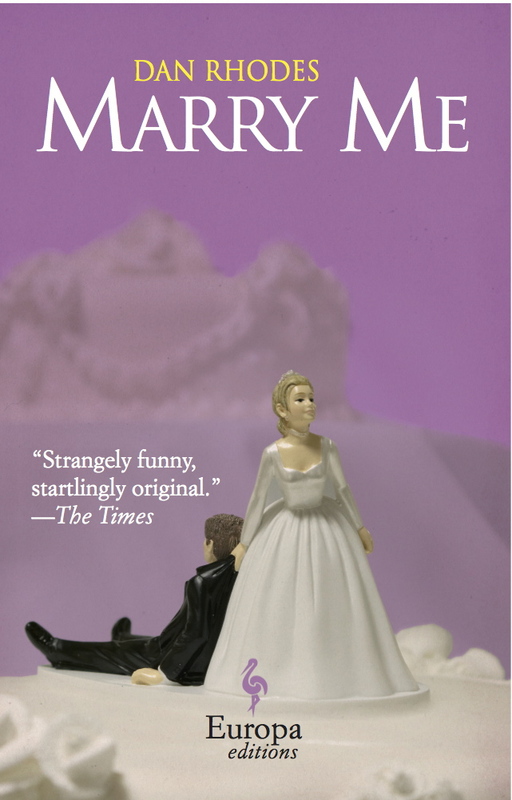 The US edition of Marry Me is out now, in an excellent and very pink paperback from our friends at Europa Editions. 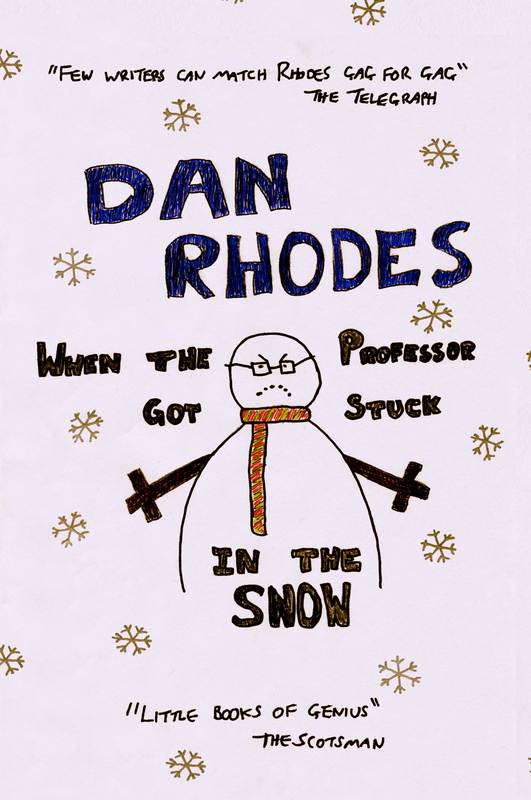 In other news, at the tail end of next month I’ll be releasing a whole new novel – “When the Professor got Stuck in the Snow”. To mark my twentieth year in the book trade [starting as an unpacker at Waterstone’s in 1994] I’m going to be treating myself to a publication without a publisher. Apparently you can do that sort of thing these days. It’s looking set to be a low-key and ramshackle event, perhaps even shambolic, but we’ll get it out there somehow. It’ll be an e-book, and there will also be a run of old-fashioned paper copies for sentimentalists and Luddites like me. 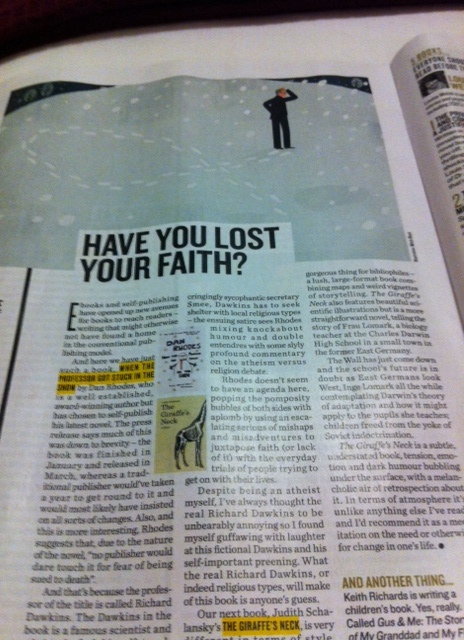 In the meantime, it turns out the Christmas story I co-wrote for the Independent on Sunday can be found here. I know the decorations have come down, but never mind. To be notified about updates to this site, please enter your email address below.